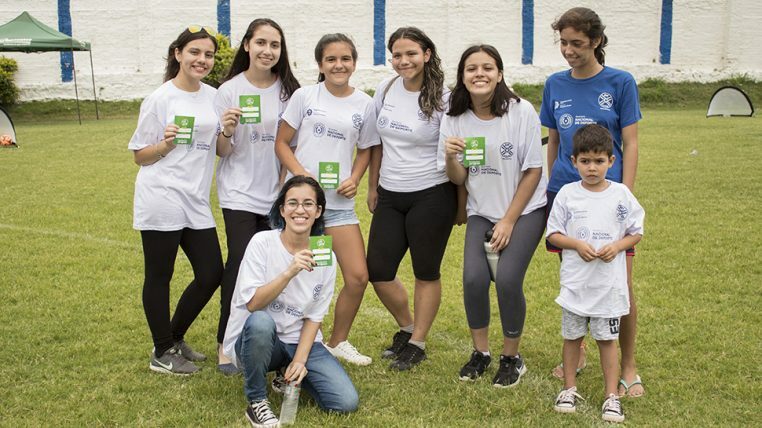 Young people who are part of the Entrepreneurial Education area of the Fundación Paraguaya, participated as volunteers in the second edition of the “Golazo” program, an initiative of the office of the first lady in conjunction with the Paraguayan Football Association and the National Secretariat of Sports. 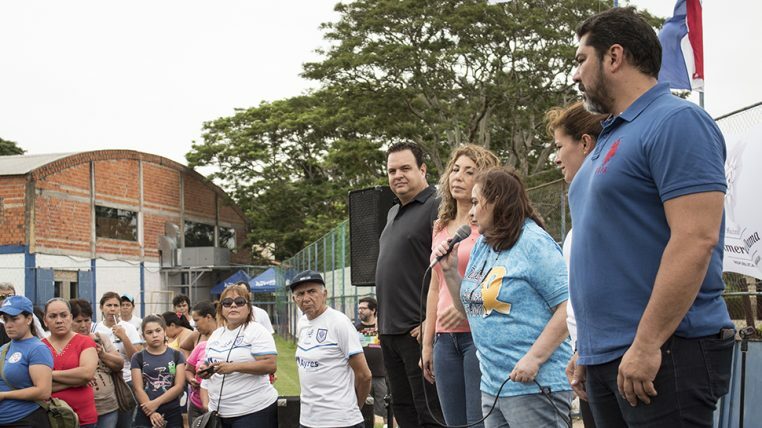 The event was held at the Ameliano Sports Club in the city of Asunción, where more than 200 children attended. 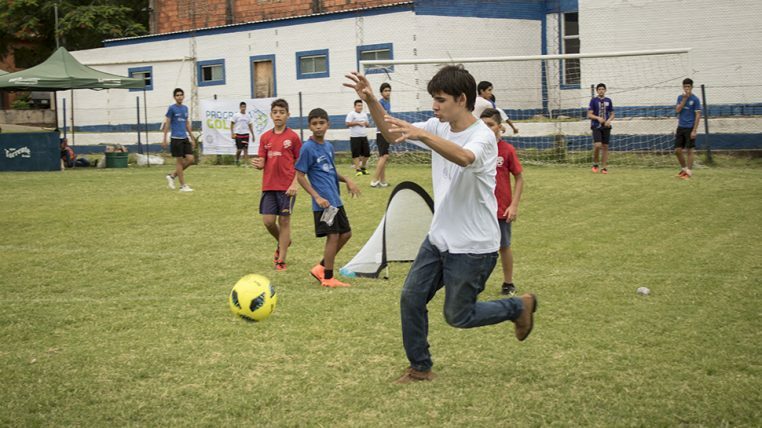 This initiative aims to promote sports practice and social assistance for the most vulnerable communities, through an interaction day where the kids practice football. Over the course of the day, talks are given on drug prevention, nutrition and oral health; this way, seeking a comprehensive benefit for the participants of the program. What is sought with “Golazo” is to promote sustainable development in all aspects of football in cooperation with other stakeholders and institutions. This agreement bets to develop the sport in a process that manages the economic, social and environmental impacts of the activities, so that future generations can continue playing football under the best possible conditions. 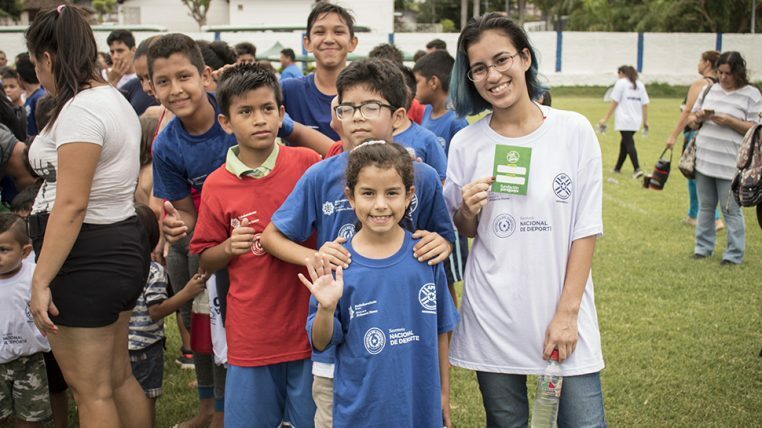 Fundación Paraguaya is committed to creating spaces where children are able to develop their sports skills, so that future generations can acquire a better life quality.